The 3.5 Cu Ft Grit Bin is ideal for domestic use but is also suitable for small businesses. Constructed from durable and UV-resistant polyethylene, this bin will not deteriorate from long-term exposure to the elements. 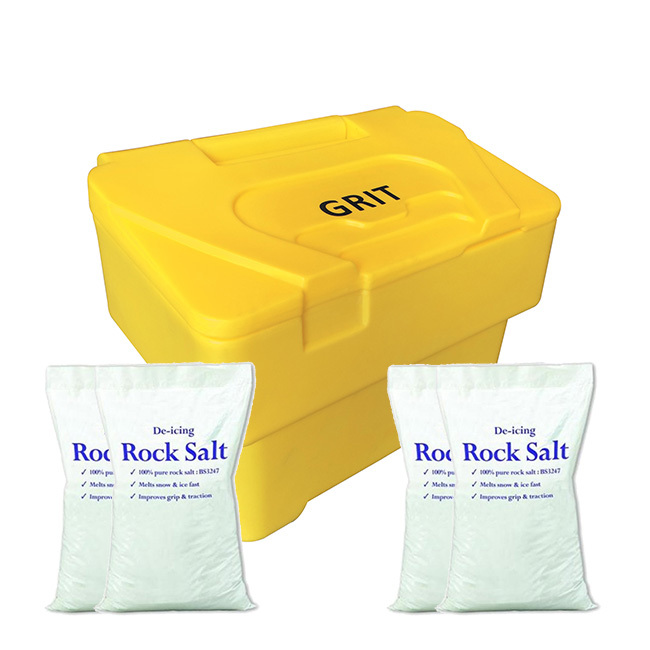 This pack includes the 3.5 Cu Ft / 115 litre capacity grit bin and x4 bags of 25kg white rock salt. Our white rock salt is clean to use, leaving no dirty residue to be trodden into carpets in buildings and vehicles. With a capacity of 115 litres (125kg), this stackable grit bin is ideal for busy environments where space is at a premium. “GRIT” logo moulded onto the lid. Its hinged lid is angled to minimise the amount of snow and ice settling on the top of the bin, ensuring ease of use in winter weather. 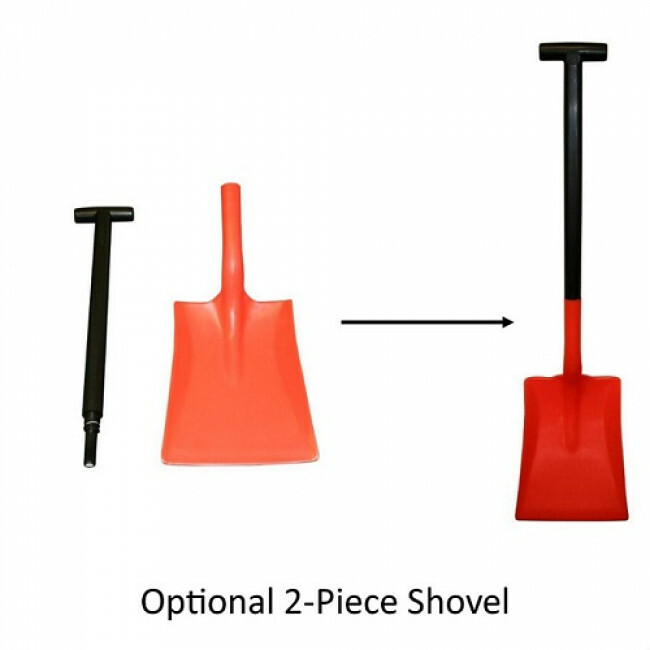 The design of this bin allows it to be easily manoeuvred via forklift or pallet truck, which makes ease of transporting it even when full of rock salt. Keep the areas around your home or business ice-free this winter by storing your grit/salt in our 3.5 Cu Ft Grit Bins. Colours: Yellow, Red, Royal Blue and Forest Green.